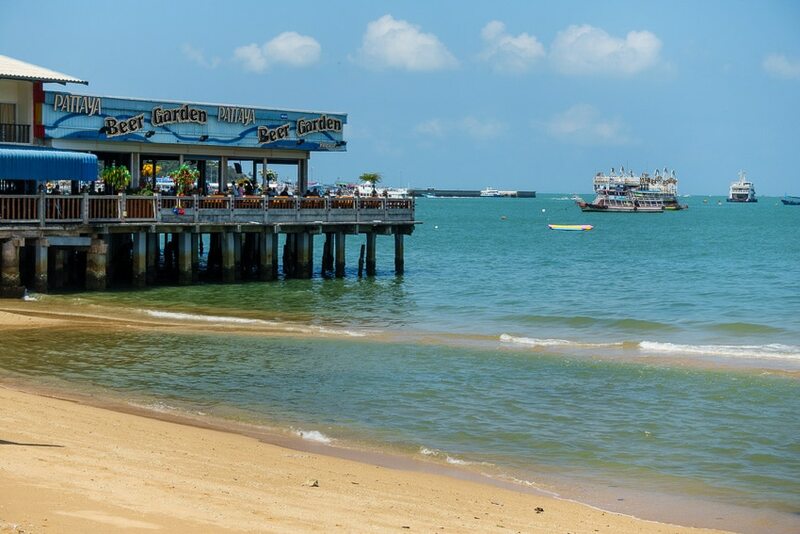 Set on what remains of an old pier, the Pattaya Beer Garden has become a famous Pattaya landmark. 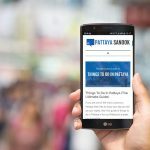 Known not only for it’s location, the food, service, and amazing view makes the Pattaya Beer Garden one of the best places to eat or grab a drink in the city. The entrance is in the first building on Beach Road just before Walking Street and right before the the beer bars begin. There is small sign overhead that takes you down a long walkway out to the pier. It can be a little obscure and many people walk right by the first time they try and find the restaurant. The Beer Garden is a big open area with a large bar in the middle. There is seating both inside in the shade and outside on the deck in the sunshine. 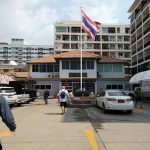 The building has no walls on three sides giving you great views of the Pattaya bay and Pratumnak hill. On a good day you’ll get a nice breeze coming in off the ocean. 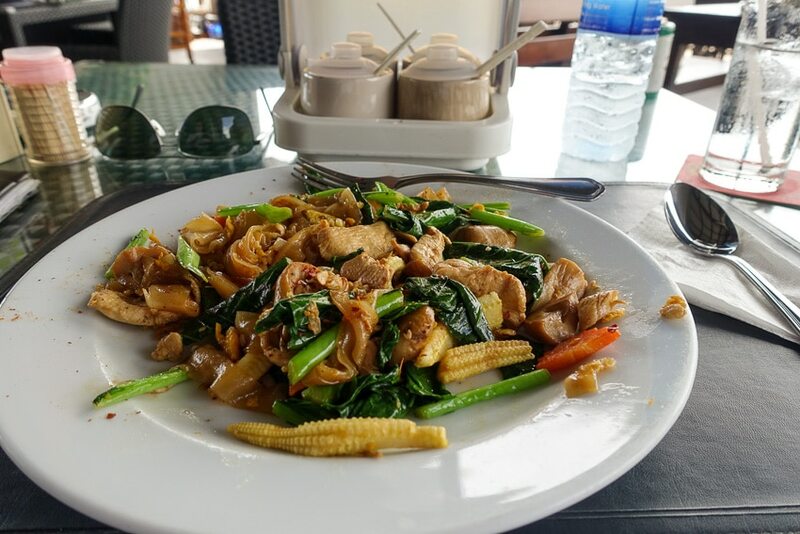 The food at the Pattaya Beer garden is excellent they have an extensive menu of both Western and Thai dishes to choose from. You can find everything from a light snack to burgers, roasts, pizza, and much more. Their menu is 8 pages long, your biggest hurdle will be deciding what to get. If you want to indulge yourself on a hot day the Beer Garden has an amazing selection of ice cream desserts to select from. Some of their Sunday’s are fantastic. Another popular item on the menu is the fruit smoothies. They have a variety of tropical flavors to choose from (Mango and Pineapple are two personal favorites). They are a refreshing way to cool off after a long walk down Beach Road. The drink menu is quite extensive with both local and imported beers. They have two beers on tap, Tiger and Heineken draught. There are just a couple choices of house wine on offer, but they do have a selection of bottled wines to choose from as well. The spirits menu is quite long and there are a number of other beverages to choose from both with alcohol and non-alcoholic varieties. The beer garden serves all day breakfast, lunch, and dinner. 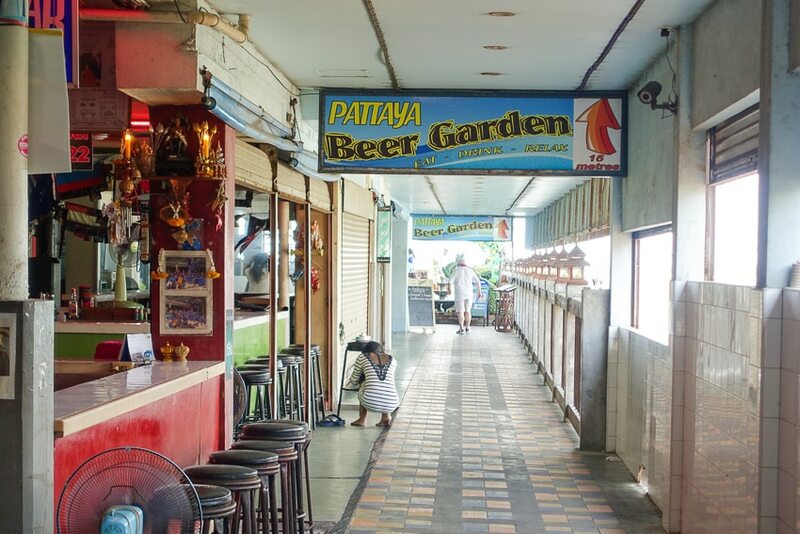 The Pattaya Beer Garden is one of my favorite places to eat in town. The view is outstanding and the service is prompt, friendly, and attentive. It is the best place to sit and watch the sunset over the ocean with a cool drink in hand. 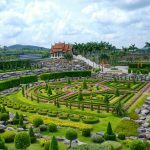 It is also a great place to relax and chill out with friends. 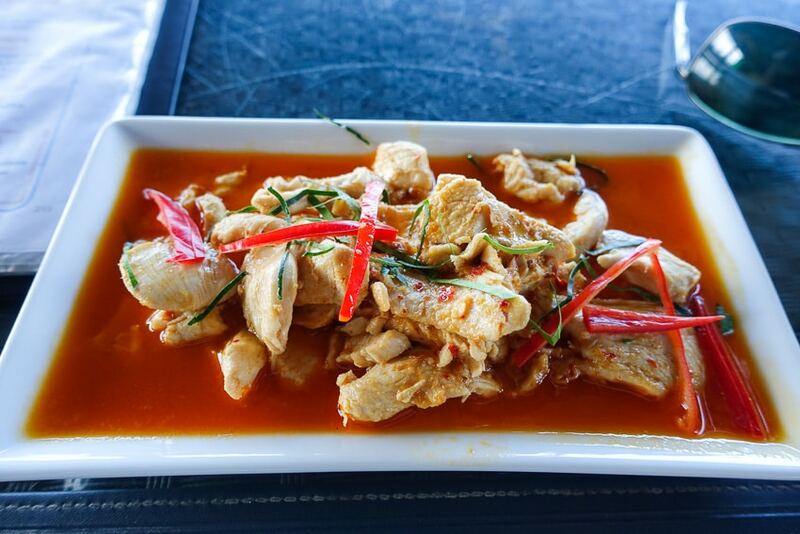 The service is better than 99% of the places in Pattaya (or most of Thailand). They have dedicated wait staff, cashiers, bussers, and management. It is run like a bar and restaurant in the West and that is one of the many things that make this place so popular. Prices at the Beer Garden are very reasonable, even more so considering all the other features of the restaurant. Portions are of good size and leave you feeling full. 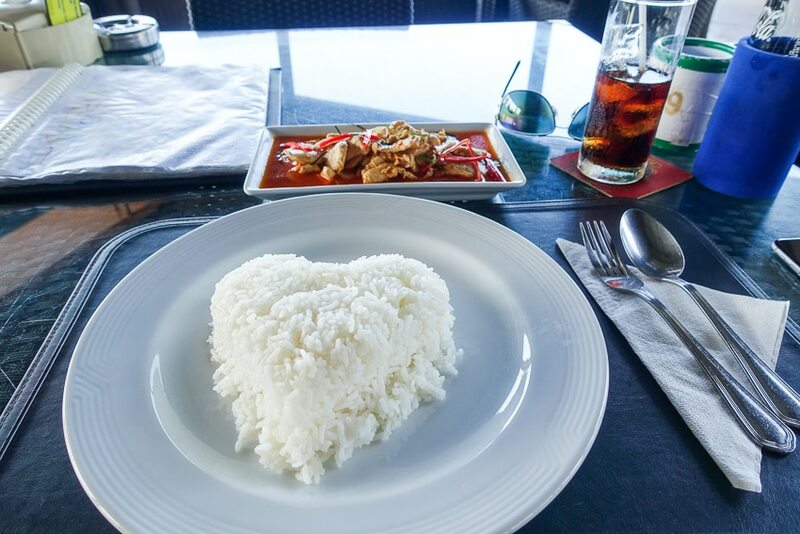 The food is of high quality and you definitely get your money’s worth. At night the restaurant turns into a popular hot spot for evening drinks and a starting point for further adventures into the Nightlife of Pattaya. They have a fun gimmick with the drink coaster they use at the bar. One side is green, which means you are interesting in chatting with the ladies, the other side is Red, meaning you wish to not be bothered so you can enjoy your drink or to talk with your friends. 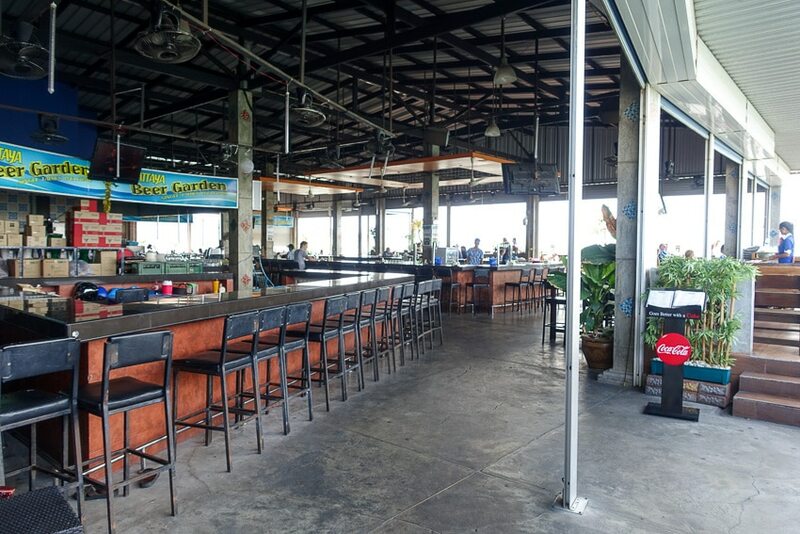 All in All, the Pattaya Beer Garden is an amazing bar and restaurant. It is one place you should check out, and no doubt you will become a regular customer.